We surprised her after work. We met her in the foyer still holding our keys and told her to get dressed because the fair was in town. The clouds outside were threatening rain and the thunder in the distance echoed the sentiment so we knew our time was limited. She ran upstairs and returned with shoes on her feet and a smile on her face. We knew she would be excited and she didn't disappoint. 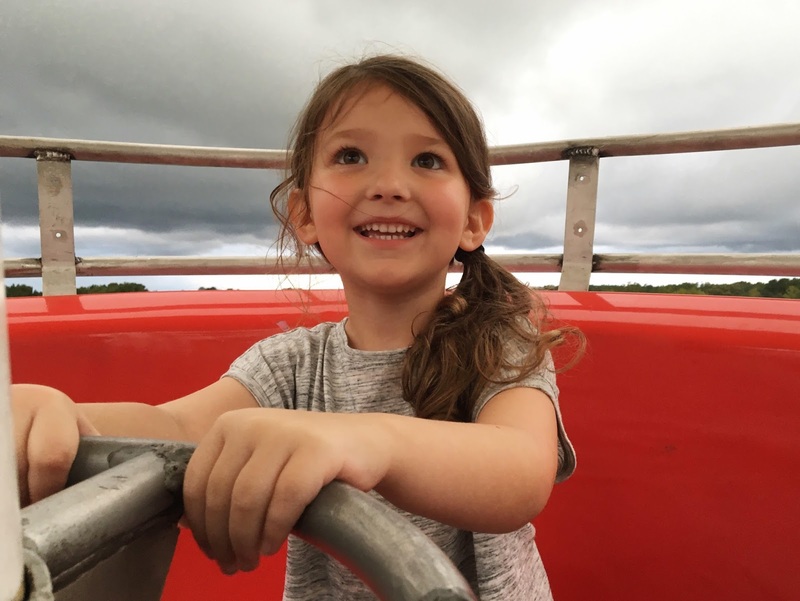 Once at the fair, we purchased our tickets and let Madison guide the way. I threw a few words of favor towards Mother Nature asking her to hold the rain for a little while. 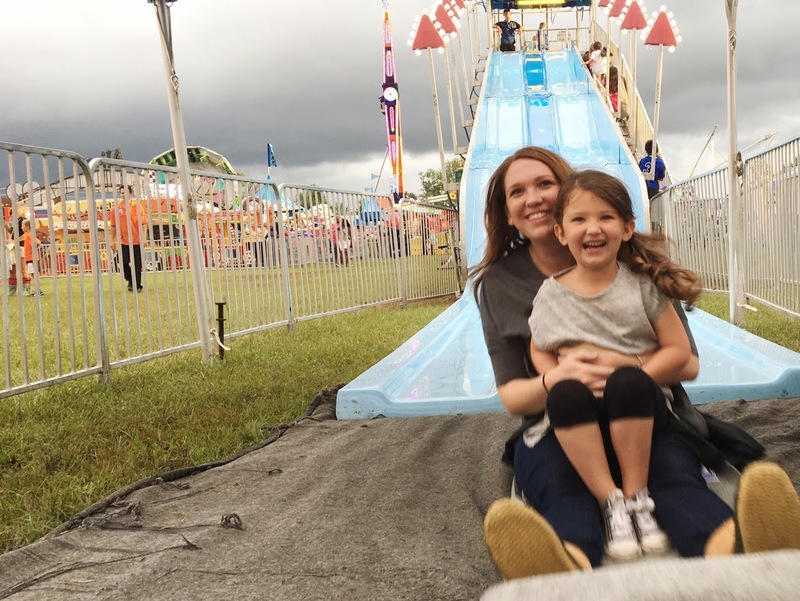 We rode the slides a few times before turning our attention to the Ferris wheel, a ride that is among my least favorite. However, I knew it was worth it just to see her face light up with each rotation. 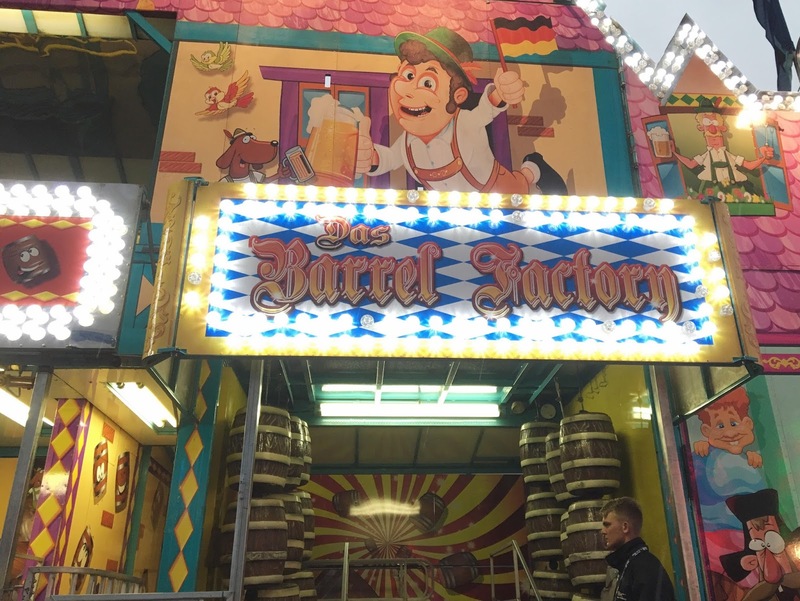 A fun house with obstacles reminiscent of the finale in Grease caught her eye, a reference lost on her at this age, and she grabbed her mother’s hand dragging her through the rolling barrels at the entrance. I watched them climb up and over and finally out of the house before we felt drops of rain overhead. We stopped for cotton candy on the way out and made it home just in time – fair enough. 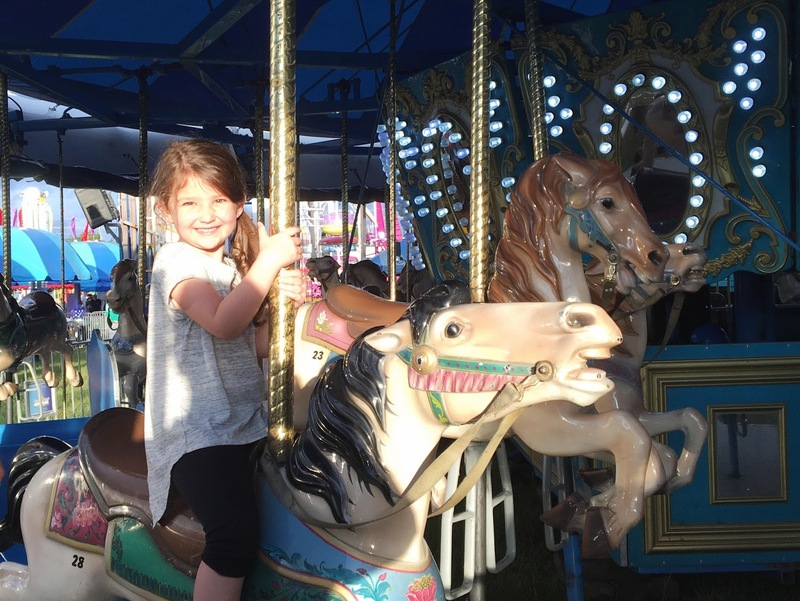 Read about our previous trips to the fair: Fair Weather, Fair Game, My Fair Lady.